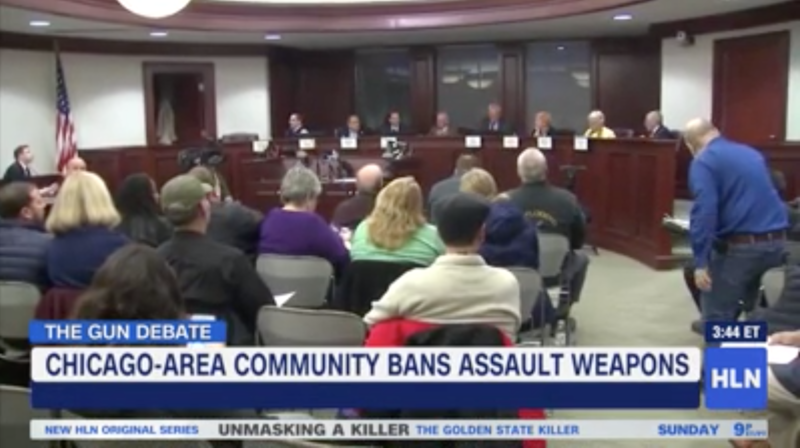 A Lake County, IL Circuit Court judge blocked the village of Deerfield from enforcing its ban on assault weapons, striking a legal blow to gun control efforts at the local level. Gun rights groups immediately filed a legal challenge to the ban, citing 2013 Illinois state legislature action that gave a 10-day window to local municipalities to ban assault weapons, prior the new concealed carry law, which Deerfield did not take advantage of at the time. “We are very gratified with the judge’s ruling and we are glad the court recognized the ordinances were unenforceable,” David Sigale, a lawyer for one of the plaintiffs told Tribune. As with most cases related to the Second Amendment, it appears another legal round is already brewing. Deerfield officials told The Tribune they are studying the ruling and figuring out their next steps with their legal team which includes an appeal to the Illinois Appellate Court. The challenge was originally filed in 2018 by the Illinois State Rifle Association, Second Amendment Foundation, and Daniel Easterday. “This unprecedented interpretation of state legislative action and intent make this case ripe for appeal,” village officials said in a statement.